The Artspace is a cultural destination for the Midlands of South Carolina. The adaptive reuse of a 23,000 sq. ft. warehouse in the Historic Congaree Vista, and its renewal as CMFA ArtSpace, broadened the CMFA’s impact on the arts in the community. Civic art groups thrive with shared administrative support and resources. Each season more than 22,000 visitors use CMFA ArtSpace to participate in or experience arts activities ranging in diversity from classical ballet classes and academies, modern dance workshops, children’s opera productions, and Cabaret evenings to West African drummers, salsa summits and Video Productions. Columbia Music Festival Association is a vital part of the Columbia Arts Community. Through CMFA, its family of affiliates and CMFA ArtSpace… the Artspace has become a destination on the visitor’s map. 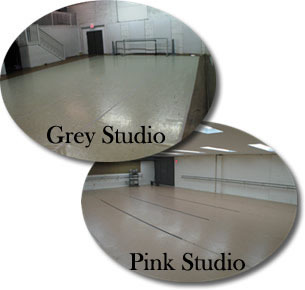 The Artspace is available for use by the non-profit sector art groups. Booking requests are filled on an availability basis. For information about how you or your organization can make a reservation to use the Artspace either contact [email protected] or call (803)-771-6303 or download this request form for submission. “Black Box Theatre” – adaptable space – can seat 85 people. (standing room 150 without tables and chairs); Stage – sprung wooden floor- with removable Marley surface ; minimum lighting (pre-hung); two pianos and a sound system.